This section of the newsletter will be where Simon Addison our President will provide a quick update from him. Currently Simon is somewhere in the deep south out of contact, so next issue we’ll hear from him direct. We have already had a very busy this year and we are only 3 weeks into the new year. In December the D-squad meet in Levin for a Camp organised by Nick Smith and Wellington hosted 95 young orienteers at the Junior Camp in the Wairarapa (photo below). Both camps were very well organised and very successful. A big THANK YOU to everyone involved in these camps. 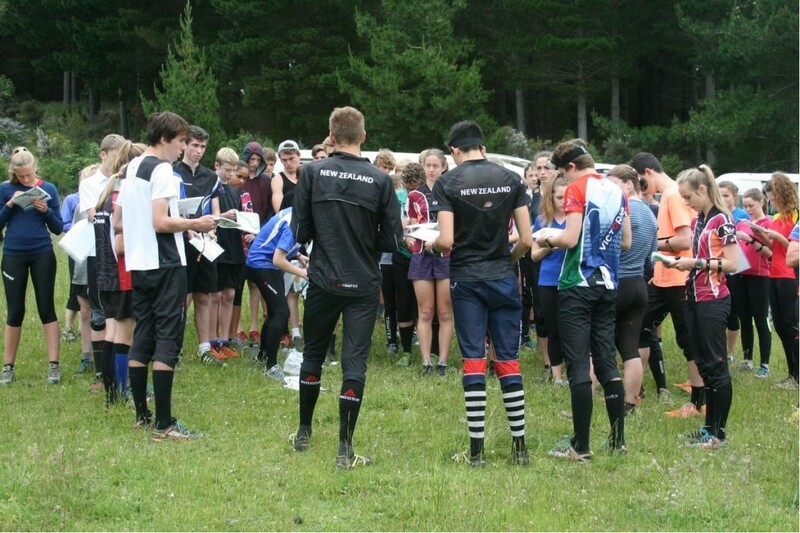 NZ teams and lots of club orienteers headed off to Tasmania for the ANZ Challenge, the ANZ Schools Challenge, Oceania and the World Cup round. By all accounts the competitions were challenging for everyone, despite the heat, injuries and a few cheeky requests to sponsor some Tasmanian Devils. With home ground advantage, Australia took out the ANZ Challenge 37-23, but the racing was extremely close and some classes were decided overall by a matter of a few seconds. In the elite test match Australia won 216 to NZs 206. Nick Hann took out the World Cup Sprint event, and Lizzie Ingham finished 3rd in the Oceania Middle. Three of the fours individual schools events were won by our school team and our team took out the relay events. Applications are invited for the following committee positions. Applications to the General Manager by 31 January. Detailed knowledge of the requirements of the different sports which are the responsibility of the Orienteering NZ, namely orienteering, rogaine, and MTBO. In depth knowledge of the rules of orienteering as they apply to nationally and internationally-recognised events. Significant involvement in, and knowledge of, event planning and management, for all levels of participation. Awareness of educational needs and effective training methods for technical development. Understanding of resources currently available that may be utilised by clubs and Orienteering NZ. the ability to commit time to the selection panel which may include attendances at trial and selection events. Full position descriptions for all these roles are available on the Orienteering NZ website. Applications are invited for the following positions. Applications to the General Manager by 31 January. This is a Contracted role at $25/hr, 6 hours/week. The position requires an experienced orienteer with experience in education, training and/or professional development. On 1 January the new Anti-Doping Rules from WADA, ASADA and IOF Anti-Doping policies came into force. All athletes should be aware of the Orienteering NZ position on Anti-doping. For more information check out the Orienteering NZ website. JWOC nominations close on 31 January. All orienteers who wish to be considered for JWOC need to email gm@orienteering.org.nz advising their nomination.